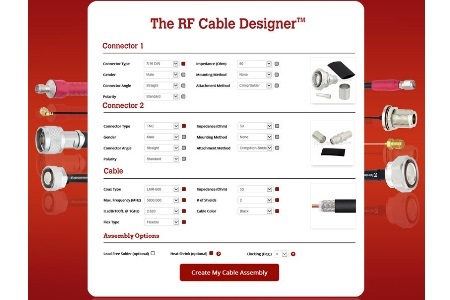 Fairview Microwave’s RF Cable Designer allows engineers and buyers to quickly and easily create customized RF cable assemblies from a wide selection of connectors and cable types offered by the company. 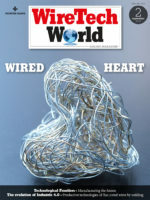 Customers can choose from a multitude of connector and coaxial cable types to construct cable assemblies that address their specific application requirements. The new RF Cable Designer can also be used to locate any of Fairview Microwave’s existing cable assemblies. “Our new RF Cable Designer tool greatly decreases the time it now takes for our customers to receive custom coax cable assemblies. By allowing our customers to create and order custom cables online, they can meet their project deadlines and commitments to their customers. This new tool eliminates the need to send an RFQ and then wait for a delivery and pricing response,” said Steve Ellis, Interconnect Product Manager. All cable assemblies created with the new tool include single heat shrink by default at no extra cost and they are typically built and shipped the same day as ordered.